Published: Mar 31, 2019 - Modified: Apr 17, 2019 - by Chef Rodney - Leave a Comment - This post contains Ads & Affiliate Links. I had a fierce curiosity about this food thing. Just like almost every other peanut butter cookie recipe, these are pretty easy to make. Just a bunch of ingredients you already have in your pantry and 15 minutes to bake. 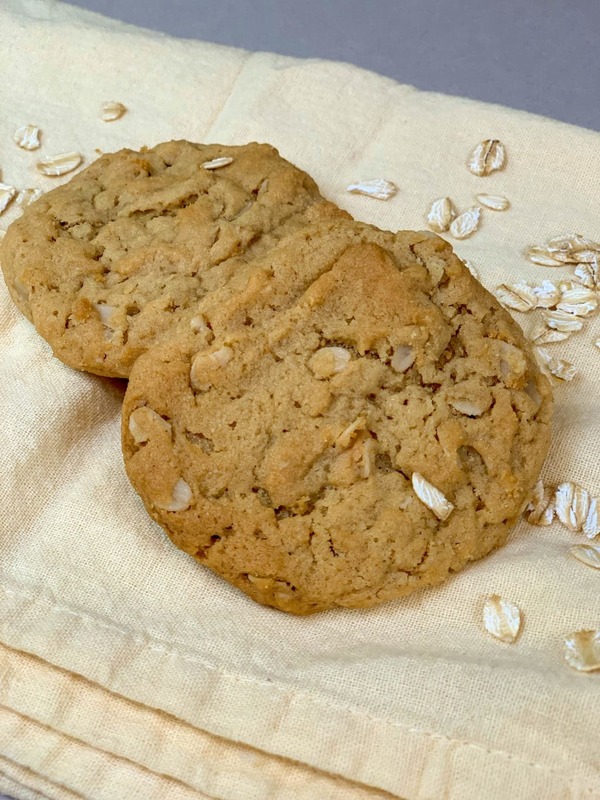 These cookies are soft and moist unlike my other crunchy peanut butter cookies posted on this food blog. In a large bowl, cream shortening, butter, brown sugar, white sugar, and peanut butter until smooth. Beat in the eggs one at a time until well blended. Add the flour, baking soda, and salt into the peanut butter mixture. Mix in the oats until just combined. Drop by teaspoonfuls onto ungreased baking sheets. Bake for 13 to 15 minutes, or until just light brown.